Get down dog in these reversible yoga pants you can wear two ways. 100% opaque, super soft and stretchy wear these print side out on the mat before reversing to black for drinks with the girls. An adjustable drawcord at the high waistband ensures the perfect fit. Reversible High Waisted Yoga Leggings is rated 4.6 out of 5 by 7. Rated 3 out of 5 by danielledoesyoga from Poor stretch quality The printed side color looks faded when the fabric is stretched (ie: worn). Rated 5 out of 5 by Valarie from Best fit I was looking for black leggings and to my surprise these were reversible The fit is great and I love the print on the other side. I'm planning on getting another pair soon. Rated 4 out of 5 by Jensari from Tonal Begonia Reversible Leggings The reversible leggings are great for yoga and just to wear in general. I love the fact that you get two pairs in one, which is an added bonus for travel. The pattern is pretty and neutral. Rated 5 out of 5 by Kbpilates from The most luxurious leggings ever The most magnificent product you’ll experience begins the moment you open the package and run your fingers along your leggings: the highest quality fabric, reinforced seams, artistic patterns, soft for daywear, strong for performance. I truly hate to waste wearing these to my Pilates class because they are a work of art in their aesthetics and engineering. But they are well up to the job! Well worth the price point. Some styles are reversible, so an added bonus. By all means try Sweaty Betty! It will be hard to plunk down your money for any other legging. I’m going to have these for years. Rated 5 out of 5 by AmericanGigi from These leggings will not practice Yoga... ...because they are my go to leggings for running errands with my gray Sweaty Betty knit sweater. These leggings are comfortable and I love the design, so stylish. Rated 5 out of 5 by Mountainmomma from My Bum looks fantastic!! 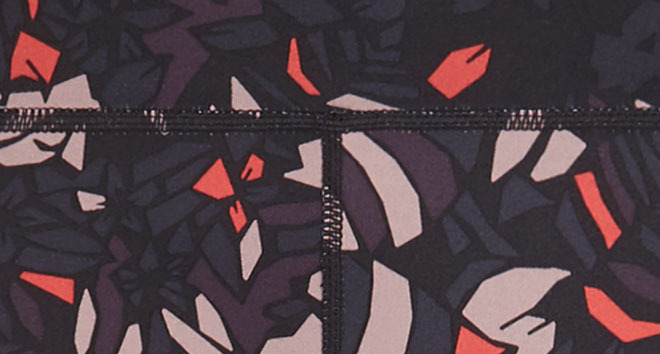 I'm a die hard UA leggings fan, and I bought these for the cute pattern. The fantastic bum was a nice bonus :) So comfortable! perfect a SB fan for life now!